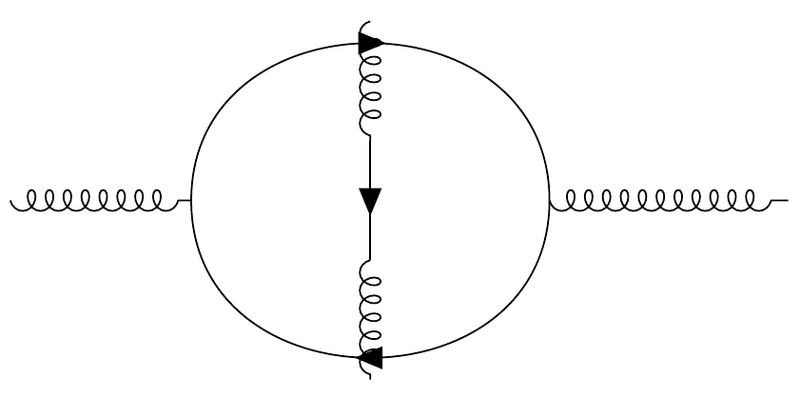 I am trying to write a two loop Feynman diagram in a particular format (using pdflatex! ), basically with a line dividing in half a loop. Unfortunately while the outcome in the image below is almost what I had in mind, the vertical line intersects the loop which makes it look very sloppy. Is there a way to fix this problem? Or, more broadly, is there a better way to realize this diagram? I would use quarter lefts and not put an arrow on the gluon since it transforms in a real representation. Not the answer you're looking for? 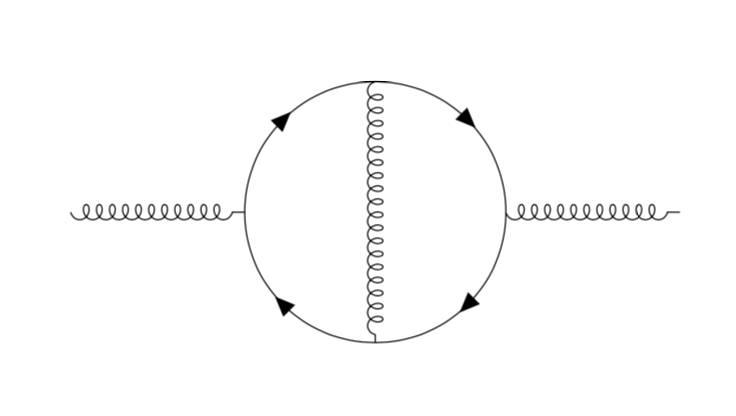 Browse other questions tagged tikz-pgf loops feynman tikz-feynman or ask your own question.